With strong brand awareness of 41%, IGEL clearly came out on top among 495 IT system suppliers recently surveyed. The result was even better for IGEL’s Universal Desktop Converter software: With high brand awareness of 72%, it’s the best-known migration software for converting PCs into thin clients. Almost forty percent (38%) of German computer dealers are also selling thin clients to their customers, according to recent research. 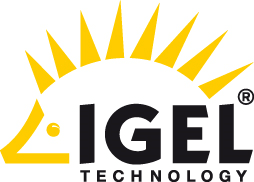 German market leader, IGEL Technology, is also by far the best-known manufacturer of thin clients. Through its exclusively partner-based sales program and its comprehensive presales support, IGEL provides ideal conditions for its resellers to do well in the thin client market. In particular, in view of the continuing growth of the market for cloud computing and virtual desktop solutions (VDI), selling thin clients also opens opportunities for additional business. But IGEL is not only proving itself with its hardware. In fact, IGEL’s Universal Desktop Converter (UDC) is now the most well-known solution for converting PCs into logical thin clients. For customers, converting PCs in this manner allows them to economically stagger migration costs and standardize the management of their end devices. For dealers, the UDC is an excellent way to open the door to eventual subsequent sales of physical thin clients. The survey was conducted by CRN Channeltracks on behalf of IGEL Technology between March and May 2013. During this period, a total of 495 system suppliers and resellers were interviewed by telephone. The majority of those companies surveyed were medium-sized suppliers with up to 25 employees. For the benefit of its partners, IGEL generally does not sell its products directly. Instead, it relies on the experience of its highly qualified authorized partners and their own established customer relationships. IGEL’s global partner network now has around 1,000 trained and certified Authorized IGEL Partners (AIPs) in more than 50 countries. Of these, some 400 are located in Germany and 40 others are in Austria.